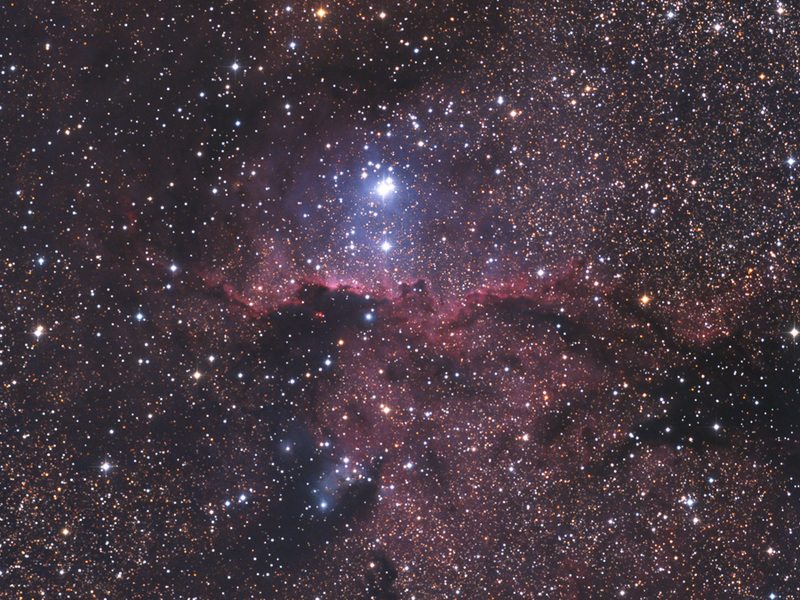 Nebulae (NGC 6188) and open cluster (NGC 6193) in the constellation Ara. Cropped version below. 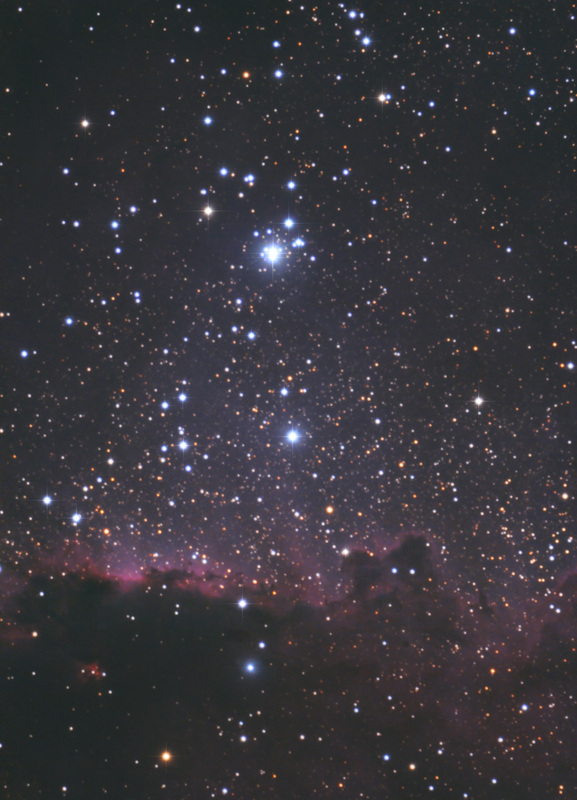 Below, the cluster NGC 6193 at a longer focal length. 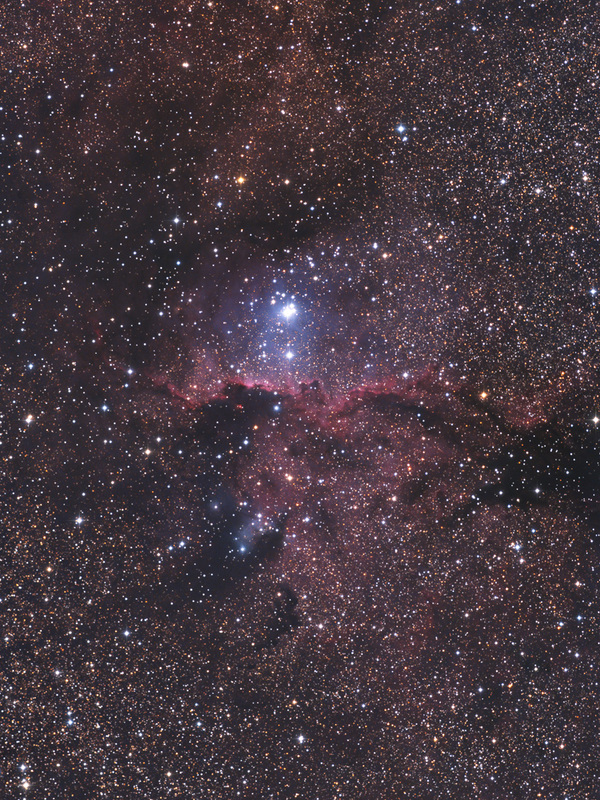 11-inch Schmidt-Cassegrain telescope at 560mm and 2,800mm focal length; astro-modified DSLR camera.